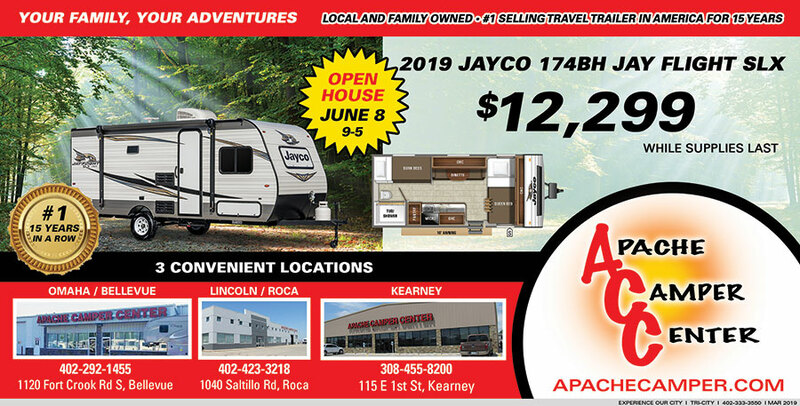 Apache Camper is the midwest’s best option for camper deals! Locations in Kearney, Lincoln(Roca), Omaha (Bellevue) makes it easy to view current inventory. (402) 292-1455 Visit Their Website!